Determining the aesthetic details is the fun part of building your dream home but the “nuts and bolts” are just as important, particularly when it comes to what’s under the roof. Orlando Custom homebuilder Jorge Ulibarri recommends that homeowners get involved in selecting the roofing company. “Just as homeowners do their homework when selecting the builder, they need to thoroughly research the roofing contractor. Roofs typically leak in the first year but deficiencies can surface years later. Anyone building a new home should make sure that the roofing company is reputable with a business track record that indicates it will be around for the long term to repair any problems with the roof,” says Jorge. In addition to asking the homebuilder for recommendations, homeowners can research roofing companies by consulting the National Roofing Contractors Association or The Tile Roofing Institute. 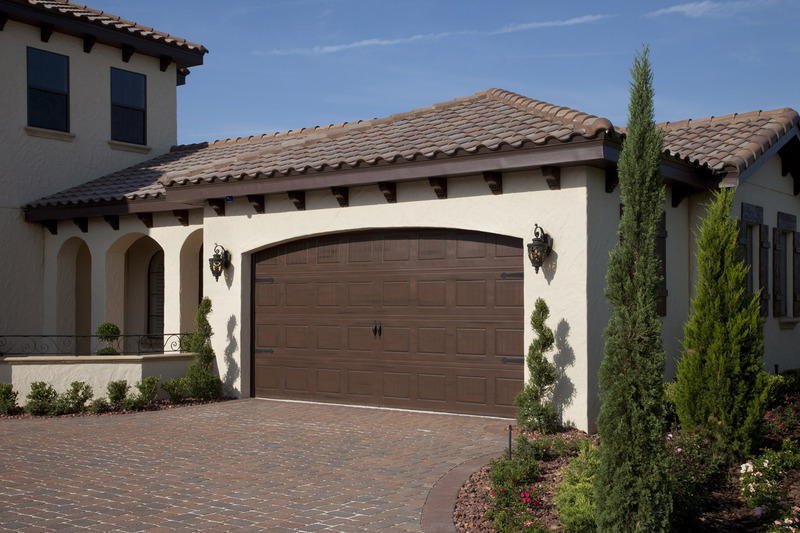 Orlando Custom Homebuilder Jorge Ulibarri suggests three important questions homeowners should ask before their roof goes up. What Type of Warranty Comes with the Roof? According to the National Roofing Contractors Association, most roofs, whether tile or asphalt-shingle, have a life span of 20 to 25 years. A builder’s warranty typically lasts two to 10 years. During that time, coverage varies on different components of the home including structural, mechanical and electrical warranty guarantees. Once the builder’s warranty expires, the homeowner will have to deal directly with the roofing manufacturer or installation company to remedy any roof deficiencies. Underneath the roof tile or shingles is a membrane known as the underlayment. 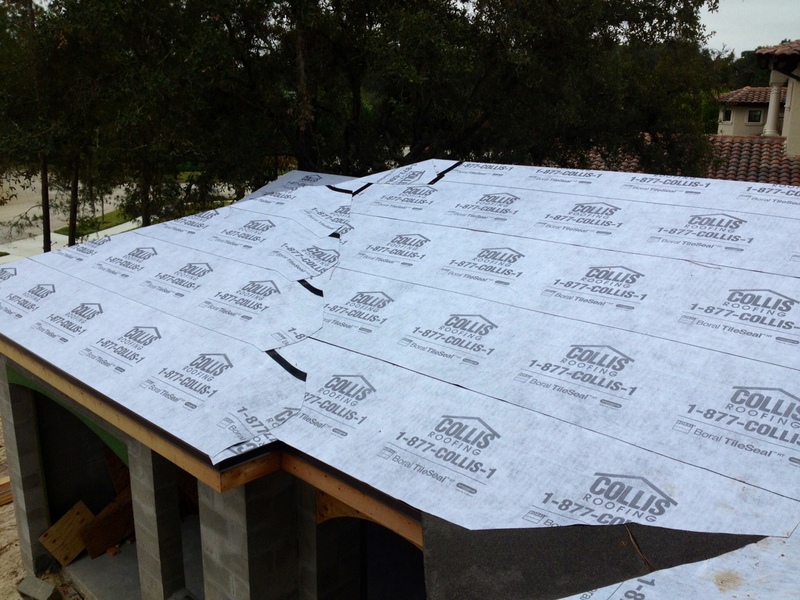 This membrane helps weatherproof the roof and prevents water intrusion. There are two types of underlayments available and both vary in price and quality. This underlayment is made of synthetic material and has an adhesive backing that sticks to the roof’s plywood (roof decking). 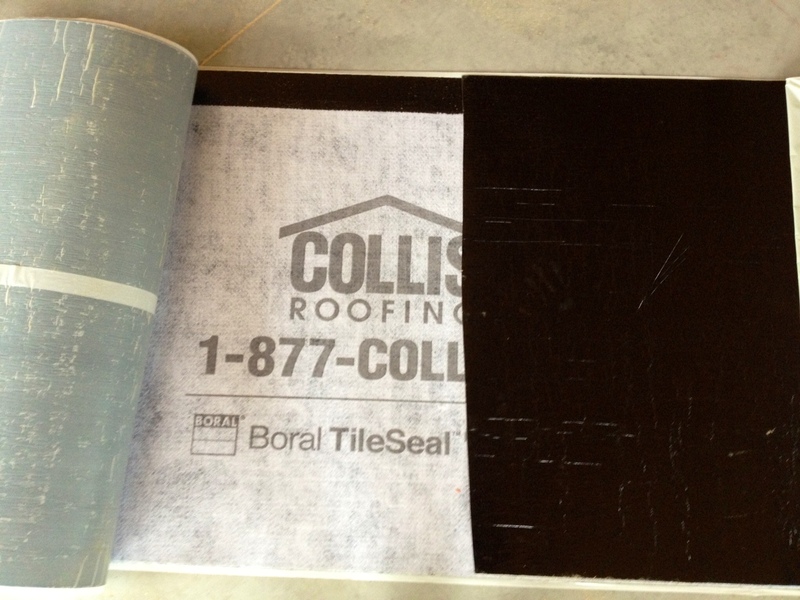 Unlike felt paper underlayment that is nailed to the plywood, Peel-and-Stick adheres to every inch of the roof decking and creates a secondary line of defense against water intrusion and wind damage. Peel-and-Stick underlayment with black adhesive in view. This adhesive sticks to the roof decking to attach to every square inch of the roof decking evenly for a better seal. Peel-and-Stick underlayment is more expensive (about 30 percent more than felt paper underlayment) but many homebuilders prefer to use Peel-and-Stick because it is more resistant to moisture, tears and UV rays. 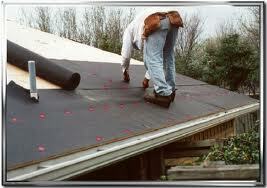 This underlayment, made of asphalt coated felt paper, is commonly referred to as tar paper. It is less expensive than Peel-and-Stick and less durable. One of felt paper’s limitations is that it is nailed to the roof decking so it doesn’t adhere uniformly. Installation requires layering of the felt paper to build a sufficient barrier. Are There Energy Efficient Colors for Roof Material? 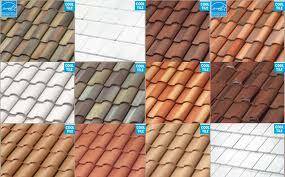 Cool roof color palette for tile roofs. Check with your roofing contractor and manufacturer for cool roof options. According to the U.S. Department of Energy, lighter-colored roofing surfaces or special coatings can reduce energy usage by 10 to 15 percent. Lighter colors reflect more of the sun’s heat and reduce cooling costs by as much as 15 percent according to the Cool Roof Rating Council. 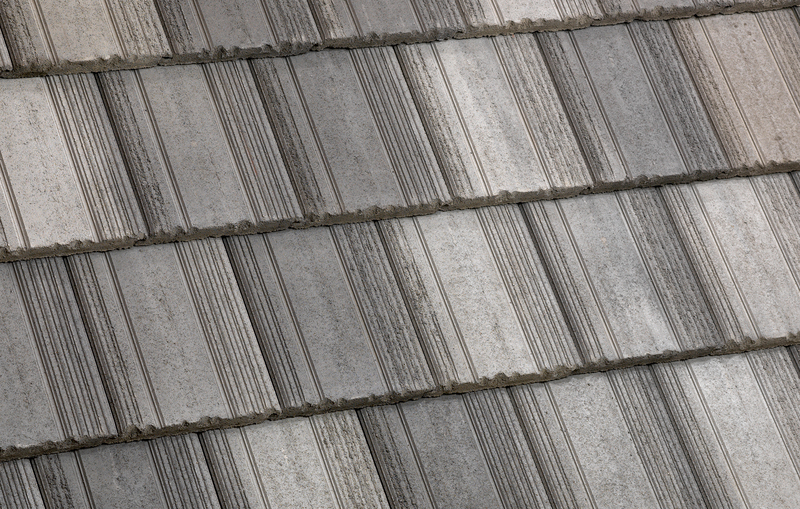 Cool roof tile in grey. Image courtesy of Collins Roofing. Lighter colors for roofing material and cut energy costs up to 15 percent. Most roof tile manufacturers have a color palette that is Energy Star and CRRC approved as cool roof materials. Ask if the roofing product is available in a “cool roof” version. For more money-saving design ideas and new construction tips, subscribe to the video series, Trade Secrets by Jorge, available on YouTube.